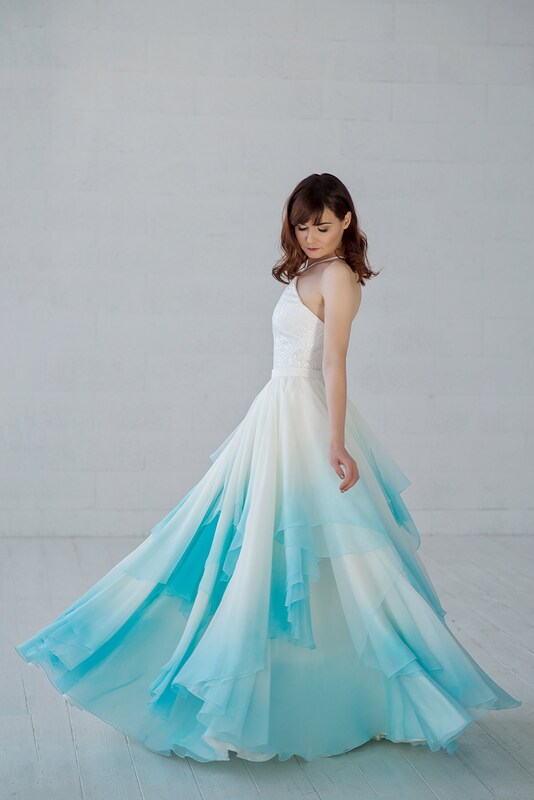 "Skye" is a two piece dress for the bride who wants her skirt to flow in the wind and just in motion, and yet wants structure and support for the top area. This dress has both features. Top is a fully boned corset with cups installed, halter type straps and a pointy inverted V neckline. It has sequins all over it in a geometric design. Only available in ivory - will go with all other ivory items we have. 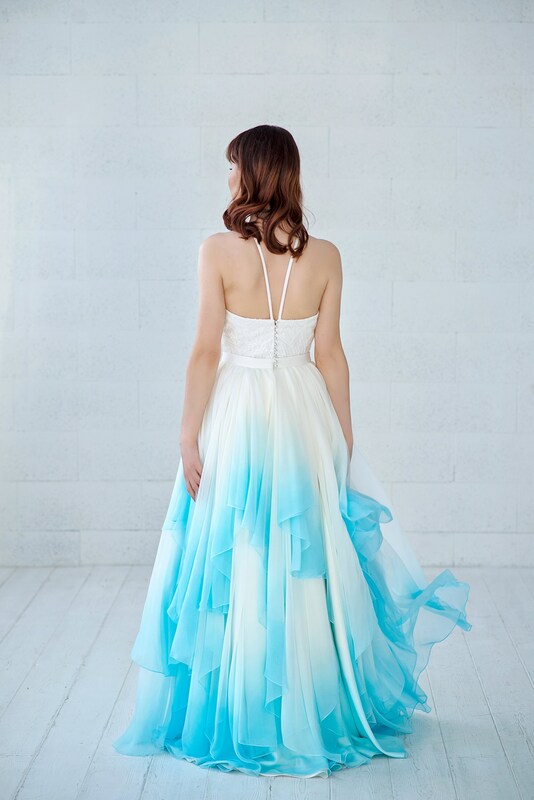 Bottom is a chiffon skirt made out of over 20 yards of thin and flowing chiffon, with multiple ombre dip dyed edges. It can also be done without dip dye. The shown Sky Blue color is the boldest color that's available, everything else is more subtle. We are not able to accommodate anything more bright than this sky blue, no purple, no navy, no emerald green. 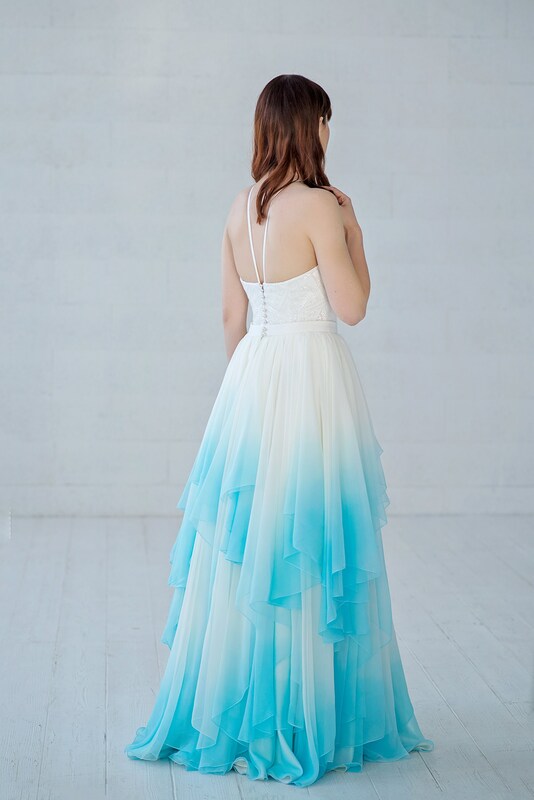 If you are interested in darker shades, we have ombre tulle skirts available. 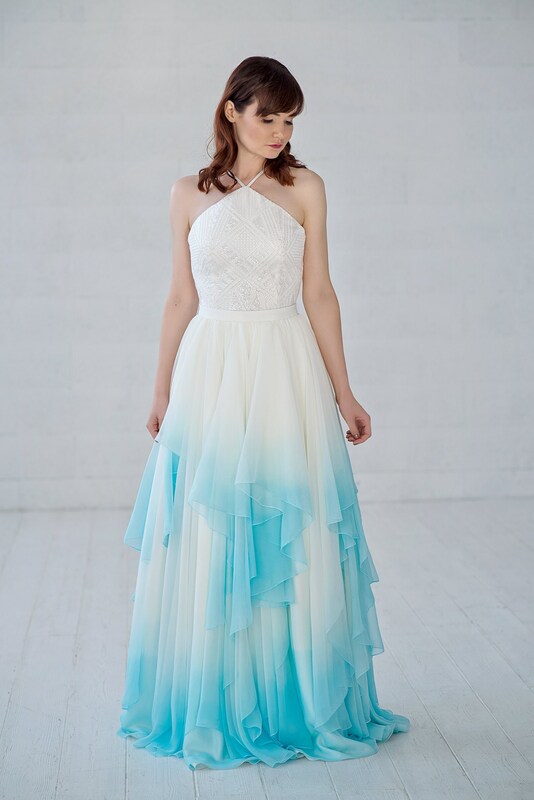 For the purposes of a matching dress, the skirt purchased via this listing will also have an ivory base with your selected (if any) dip dye color. Skirt alone can also be made with a pure white base color. Please be careful with the sequined top - you may loose sequins if it's rubbed too strongly. Your veil/other items can also stick to sequins, therefore please be aware - it is normal. Couldn’t fault! Arrived on time and fitted perfectly. Was extremely comfortable with so many compliments. Absolutely lovely to work with, did an amazing job, received it quicker than expected, and the material is gorgeous! 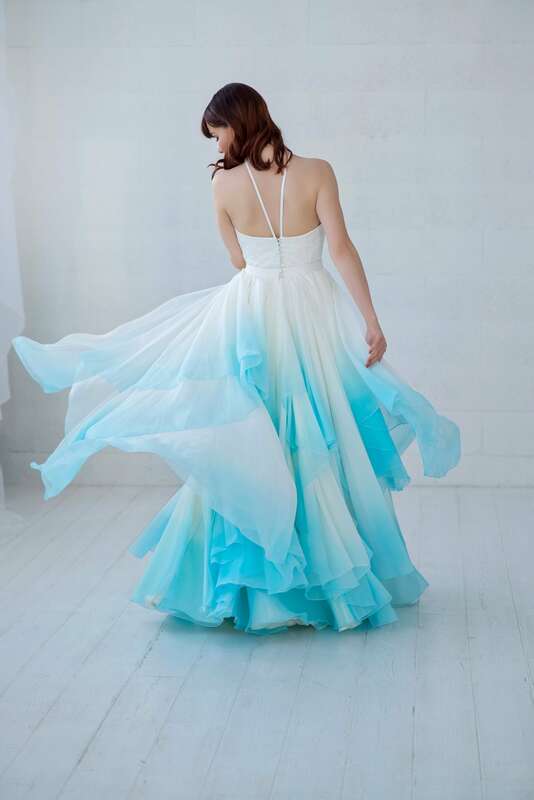 The dress is absolutely stunning and looks just as it does in the pictures! Perfect fit and arrived well packaged. 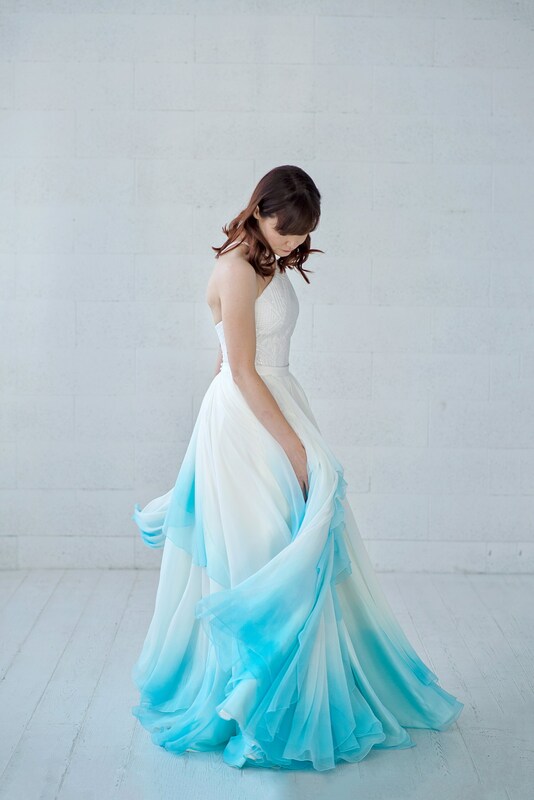 I can’t wait to wear it on my wedding day! Thank you so much! 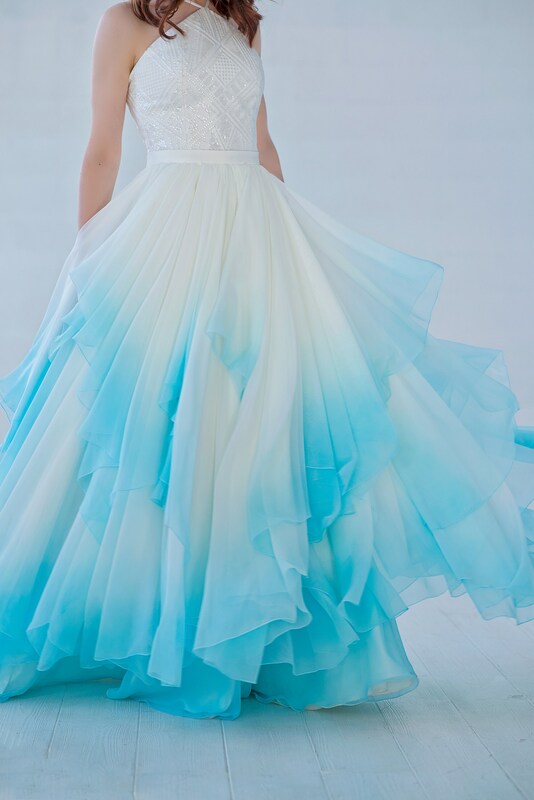 Absolutely beatiful dress! Thank you Inge!